This article was written by Jim McClelland. Jim is a sustainable futurist, speaker, writer and social-media commentator. His specialisms include built environment, corporate social responsibility and ecosystem services. According to the INRIX 2015 Traffic Scorecard, while the United States had the worst congestion on average, it was a UK city that topped the world list for metropolitan areas. 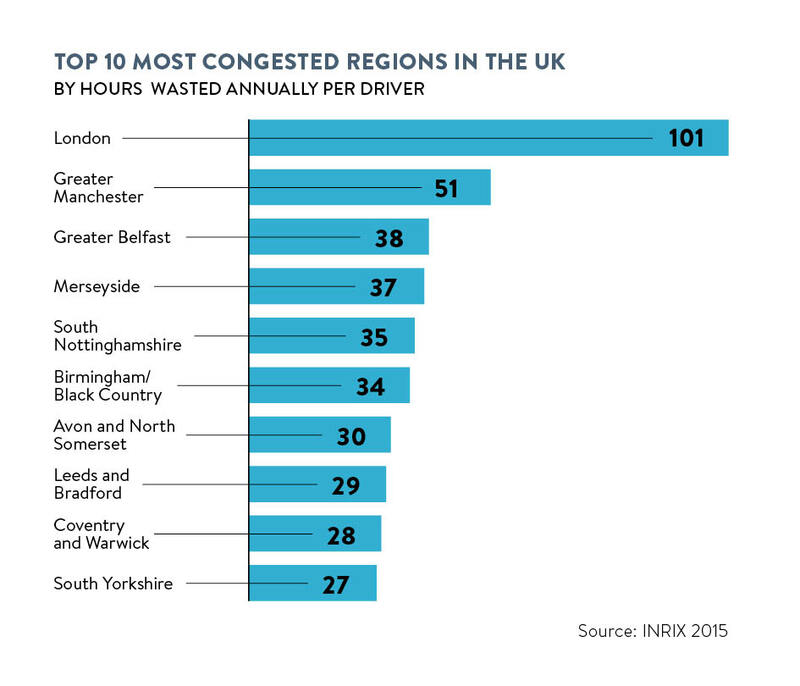 In London last year, it was estimated that drivers wasted an average of 101 hours, or more than four days, in gridlock. This figure marked the first time a metro area had surpassed the 100-hours threshold, making the capital a record-breaker of the wrong kind. Congestion is bad for business. An earlier INRIX study conducted in 2014 with the Centre for Economics and Business Research forecast the cost to the UK economy would be a staggering £307 billion between 2013 and 2030. And congestion is also harmful to urban resilience, impacting negatively on both environmental and social sustainability, in terms of emissions and global warming, plus air quality and public health. As for the livability of a modern city, congestion is effectively part of the urban transport user experience (UX). Calculating levels of UX satisfaction at any given time means solving a complex equation with a range of key variables and factors: total number of transport assets (such as road and rail capacity, plus parking spaces), users (vehicles, pedestrians), incidents (roadworks, accidents, floods and breakdowns), plus expectations (anticipated journey times and passenger comfort). To do the maths requires one essential – data. Driven by one trillion sensors becoming active throughout our environment by 2025, it is boom time for big data and the internet of things. Figures from Gartner estimate 6.4 billion connected things now in use worldwide, up 30 per cent on last year and rising at a remarkable rate of 5.5 million new additions a day. Total things will hit 20.8 billion by 2020, of which a quarter of a billion will be connected vehicles. This growing availability of data sources within our cities means analytics offer potential to open up a whole new era of smart transport, explains Hussein Dia, associate professor at Swinburne University of Technology, Melbourne, Australia. “The fusion of urban data from increasingly complex networks of sensors allows for new ways to ‘sense the city’ and enhance transport capability and resilience. Predictive analytics provide a unified approach for extracting useful urban mobility information from networked infrastructure, connected vehicles and smartphones, for real-time estimation of traffic patterns, and deployment of management strategies,” Dr Dia says. Dr Dia’s cautious optimism is echoed by Mark Wedlock, associate director of smart mobility and intelligent transport systems at Arup. “Predictive analytics on its own is not the solution to rising congestion,” he says. “However, what it does enable is a transition from reactive to proactive traffic management regimes. Alongside need for scale and a more systemic application that would support better modal shift, requirement for real-time inputs is also critical, says Tim Barber, vice president for software solutions, Europe, the Middle East and Africa, at global technology company Pitney Bowes. 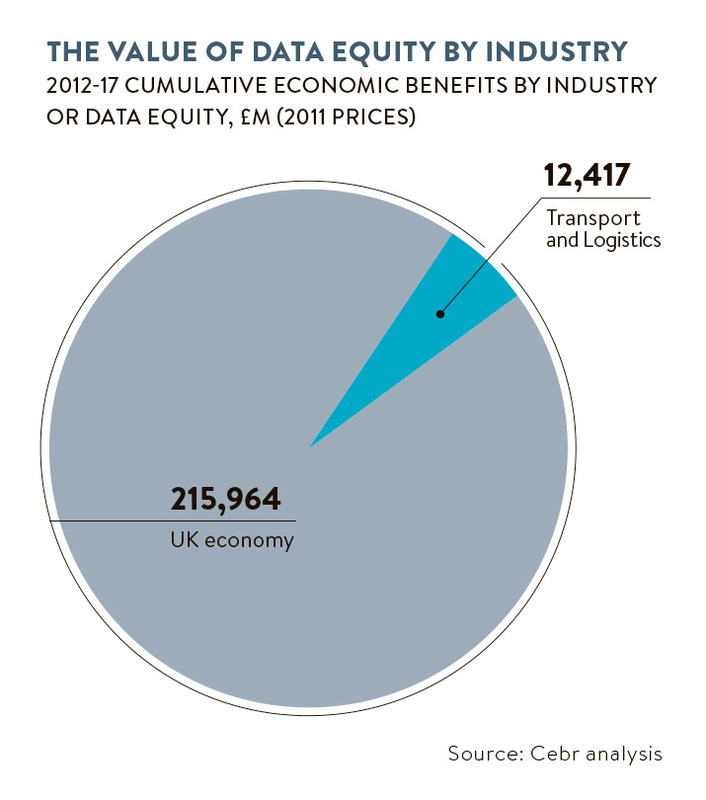 “Collecting reams of data isn’t enough. You have to be able to validate, link and access data in real time to extract meaningful, accurate insight, and predict trends and patterns. Data decays at 2 per cent per month, so the real-time element is crucial,” he says. To read the full article click here. For more big data related articles on DSC click here.